traits : ako ung kina-kainisan ng karamihan..
God speed Science High Students!!! am glad that you received the mail..
well as for the topic.. you can find it sa event organizer section..
hmm.. where are the others..?.. c'mon guys! dnt b a stranger! 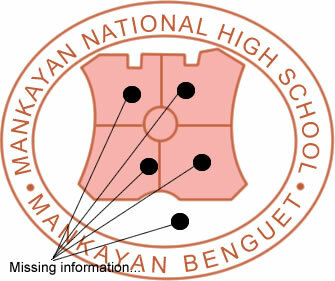 we want to hear fr u..
speak up pls...introduce yourselves here..
mnhs BATCH 2004!!! syempre, section E!!! yeah, thanks for posting this site in our group fs karen...atleast we will get more updates about the current situation of our school as well as the locality. hope more of our batch mates and schoolmates will know more about this site. hmmmm, jonathan mali ata pagkakatype ng section mo? thanks to the moderator as well po for making us all get connected. We hope to hear from u more and pls. do invite ur batchmates into joining this forum. good to know that the members are growing.. I wish that this forum can really help out in our interactions..
without even getting all your permission, inpost ko daytoy krineate u nga site ijay fs shout out ko to make it more visible sa mga mnhs alumni na nasa fs list ko.i come to learn about this site through karen, my batchmate who made the information dissemination earlier ijay batch group fs mi.hope that would be ok kanya u amin. by the way the site is good, anxious to know and hear more about the development of the site. know more people from our school kasi laking tulong din nga ado ti maamammo from higher or lower years. hope to see in the future a photo gallery section of our dear alma mater or the mankayan locality itself. regarding nmn sa photo gallery in the near future i guess we can have that.. what do you think admin? anyway, take care and hope to c u online soon..
hmm.. there is a way on how post pictures here.. but it uses a third party web site.. eg photobucket.. maybe that can be utilized to display photos.. just the way I displayed the pictures of mankayan..
parang medyo "mendokusai" yn ha.. how about dun s another site ntin..
haha.. pano b dpat ang reaction ko d2...hmm.. well, i got ur point, though and tnx a lot.. that ws sweet, actually. ahhhh...i see. computer geniuses ei...hehehe anyways thank u for giving us a prompt response, re:photo gallery.